ASME/ANSI B16.9 Socket Weld Flanges, Hastelloy Reducing Flanges, ASME SB564 Hastelloy Flanges Manufacturer, Hastelloy Alloy MSS SP44 MSS-SP-43 Flanges, ASTM B564 Orifice Flanges, ASA, API-605 Flanges, Hastelloy Plate Flanges Supplier In India. We at Aurum Alloys & Engineering LLP are manufacturer, exporter and supplier of a qualitative range of Hastelloy Flanges that are designed as per the international standard quality standards. We offer wide range of these products with all types of grade like Hastelloy C276, Hastelloy C22, Hastelloy B2, etc. as per the clients’ requirements. Our chrome Hastelloy C276/C22/B2 Flanges products take account of Slip on Flanges – SORF, Weld neck Flanges – WNRF, Socket weld Flanges – SWRF, Blind Flanges – BLRF, Lapped joint Flanges, Screwed Flanges, Long weld neck Flanges, Reducing Flanges, Spectacle Flanges, Ring joint Flanges, and others. We focus in manufacturing custom shape and special size flanges for our clients. 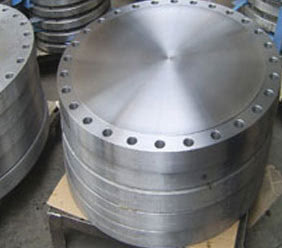 Hastelloy Alloy Weld Neck Flange, Hastelloy DIN 2.4617 Forged Flanges, Hastelloy UNS N10665 SORF Flanges, ASTM B564 Hastelloy Alloy Threaded Flanges, Hastelloy WNRF Flanges Exporter, Hastelloy Blind Flanges Exporter In Mumbai, India. Cost effective and high quality Hastelloy Flanges is supplied.